Would like to experience this page at its best? Please, open it on another browser. Internet Explorer does not support the technology we are using. Religious life is the beating heart of the Church. It impacts the lives of so many around the world. The extraordinary women who embrace the Gospel and answer the call to go “and proclaim the Good News to all creation” (Mk 16:15) are the witness of God’s sublime and boundless love. From Kazakhstan to Peru, from Syria to Rwanda, they do this thanks to the same Spirit which inspires, the same Gospel which is lived and announced, the same Jesus who is present in the little ones. 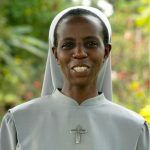 The Sisters are the living witnesses of God’s love, but they need our prayers and financial support for their mission. Be part of their story! More than 600 thousand women have made the choice to totally surrender their lives to God in prayer and help to others. 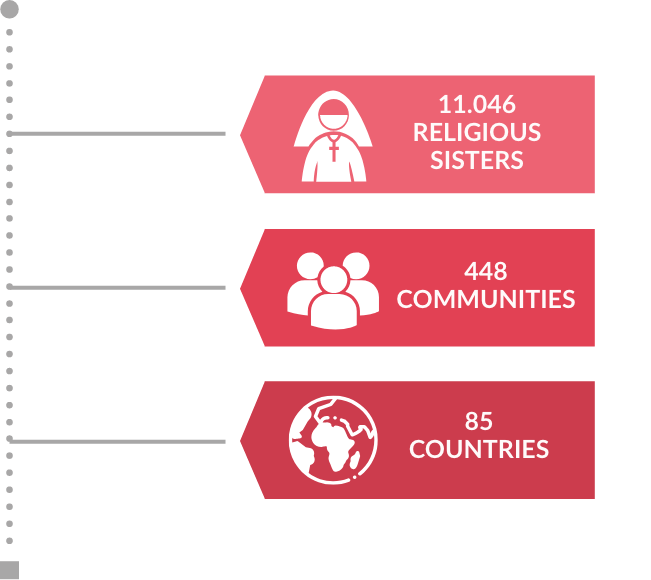 ACN supports religious Sisters around the world to enable them to continue with their mission, and it is only possible thanks to you. In a polarized society, where different cultures experience difficulty in living alongside one another, where the powerless encounter oppression, where inequality abounds, consecrated people are called to offer a concrete model of community which, by acknowledging the dignity of each person and sharing our respective gifts, makes it possible to live as brothers and Sisters. Pope Francis receiving a candle from the benefactors of ACN through Sister Annie Demerjan from Aleppo, Syria, on 1 December 2018. Rm. 201 CBCP Bldg., 470 General Luna St.
As a Pontifical Foundation, Aid to the Church in Need has the mandate to act on behalf of the Church. The congregation of the Sacred Heart of Jesus and Mary was created in 1874, in Lebanon. However, its origins date to the 1850’s when Jesuits missionaries where evangelizing the region. Previously the female religious life in the Orient was associated with cloistered monasteries. Nonetheless, the Sisters of the Sacred Heart of Jesus and Mary are active in their local communities. The congregation is active in Syria, Lebanon, Morocco, Algeria, and Chad. Their vocation is to “be in the world bearing witness of Jesus Christ for those who believe in God and also for those who do not.” To bear witness of faith, the religious Sisters of the congregation seek the Magis, Majorem Dei Gloriam: the more, the better, the greater for God. “I chose to join the congregation because it serves people. Every little thing we do is for the greater glory of God. 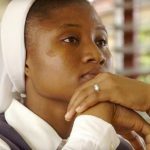 One of the Sisters in my community often says that we have to serve the Christ in others with humility until there is nothing left of us and all is left is Him,” said Sister Samia. “Missionary par excellence” that is the charism of the Clarissan Missionary Sisters of the Blessed Sacrament. As a missionary congregation, they are present in 15 countries around the world: Mexico, Japan, USA, Sierra Leone, Indonesia, Italy, Ireland, Spain, Costa Rica, Nigeria, Korea, India, Russia, Argentina, and Vietnam. The Sisters first came to Nigeria in the 1970s, soon after the civil war that devastated the country. A few years later, when the Sisters arrived in Sierra Leone, education was forbidden for girls. They started a campaign to raise awareness about the importance of education. They built schools, and workshops to provide girls with handcraft skill that could be useful as a source of income. 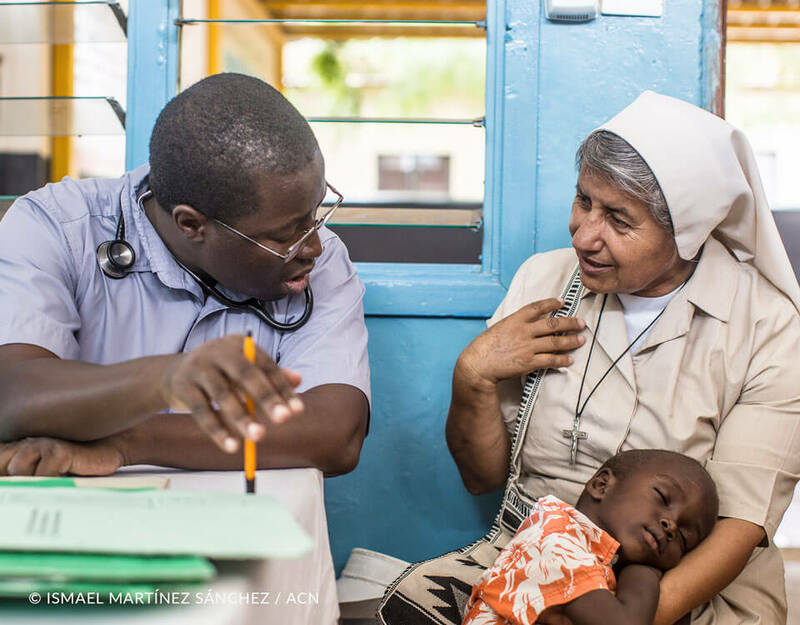 “I believe God has given us a heart larger than any mother’s,” said Sister Mari. 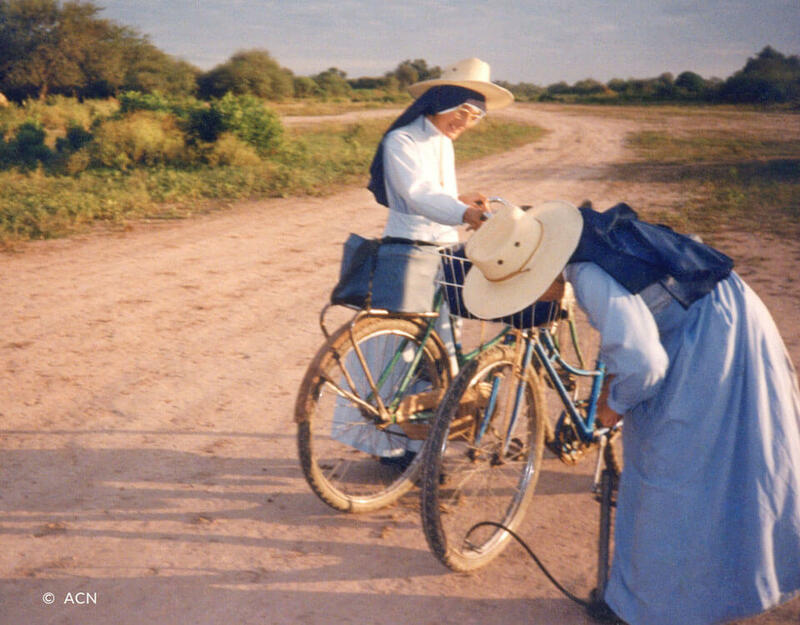 Every day, she and another sister travel long distances to visit the families in her diocese in Peru. “Sometimes we come across a good deal of unhappiness in families, our visit bears them comfort, and they say they feel blessed because we took some of our time to be with them. On Fridays, we bring the Holy Communion for aged people. It is a special moment. 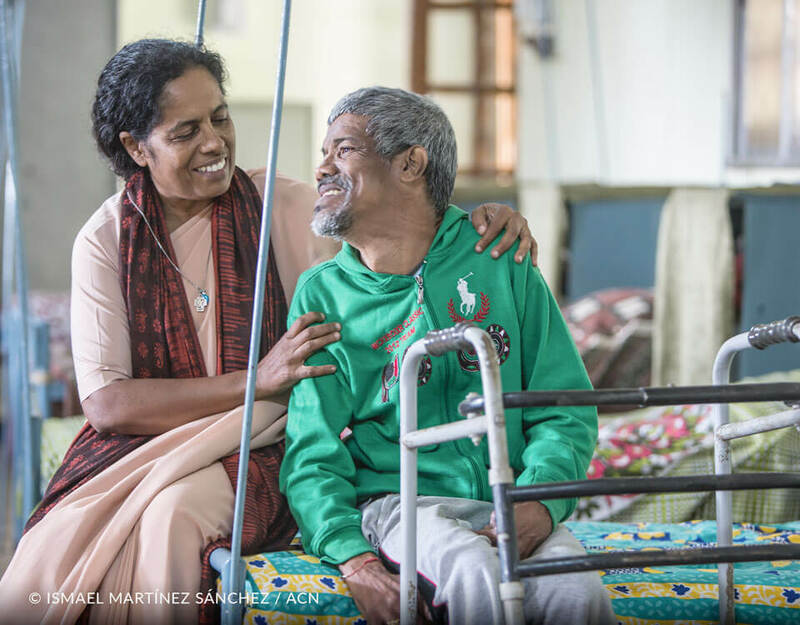 Most of them have reduced mobility, and they recall being able to go to the Church on their own. I often answer: ‘now, you do not have to. Your friend has come to visit you. Do you know him? Yes. Jesus has come to you!’” added Sister Mari joyfully. Besides visiting the aged people, she also looks after adolescents. “I remember once one teenager did a prank. I called him and censured him: ‘What you did was wrong. I love you very much, but I will not tolerate it’. He stared at me and asked: ‘Madre, do you really love me?’ It touched me. It made me realize how important it is to show affection because they often do not receive it from their families,” said Sister Mari. Founded by Mgr. Federico Kaiser in 1961 in Peru the congregation Missionaries of Jesus Word and Victim is active in Latin America. Their mission is to grant pastoral care most especially in remote zones. “We fight against the most dreadful enemies of humankind: ignorance and sin. They have gained so much space because people are without spiritual leaders,” states their mission. The apostolate of the Sisters is in places where there is no priest. They offer spiritual comfort for those in need. They preach the Word of the Lord. They teach the Catechism. “I knew I belonged to this congregation when the Sisters explained to me their mission and charism. They described to me their work and their pastoral activities. From the beginning, I felt in my heart that I belonged with them. We visit the families in their houses on a daily basis. On special occasions, for instance, a patron’s feast, we visit the villages,” explained Sister Mari. 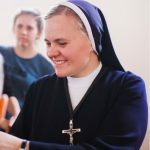 “I remember when I was 13, and my teacher asked me: ‘have you ever thought about becoming a religious sister?’ To be honest, until that moment I had not. Afterward, I started to consider it very much,” said Sister Mari Graciana. “I spent many hours in front of the Blessed Sacrament, asking our Lord what he wanted from me. Although I prayed more than other girls of my age, I did not think I was any different from them,” adds her. When she was a child, Sister Mari used to go to a Catholic school run by religious Sisters. She was raised in a Catholic family who taught her Christian values. At the moment she was sure about her vocation, her mother was very supportive. “She said there was no life more beautiful than the one lived closed to God. From the beginning my mother was happy, and in peace knowing I had made the right choice”, explained Sister Mari. Sister Rita lives and works in the house of St. Clara, in Kapshagay, Kazakhstan. There she and two other sisters run an orphanage. They currently take care of 18 children who came from dysfunctional families. Many of them had experienced violence, ran from home and ended up homeless. “Originally we came from different families, but God has united us, and we are one family now. We are always with our children, 24 hours a day, seven days a week. We do everything a mother would do at home,” says Sister Rita. The religious prepare meals; do laundry; take children to kindergarten, to school, and to extracurricular activities; they help them with the homework; share the household chores to teach them responsibility; and, of course, they pray together. “Every single day with our children is full of adventures. 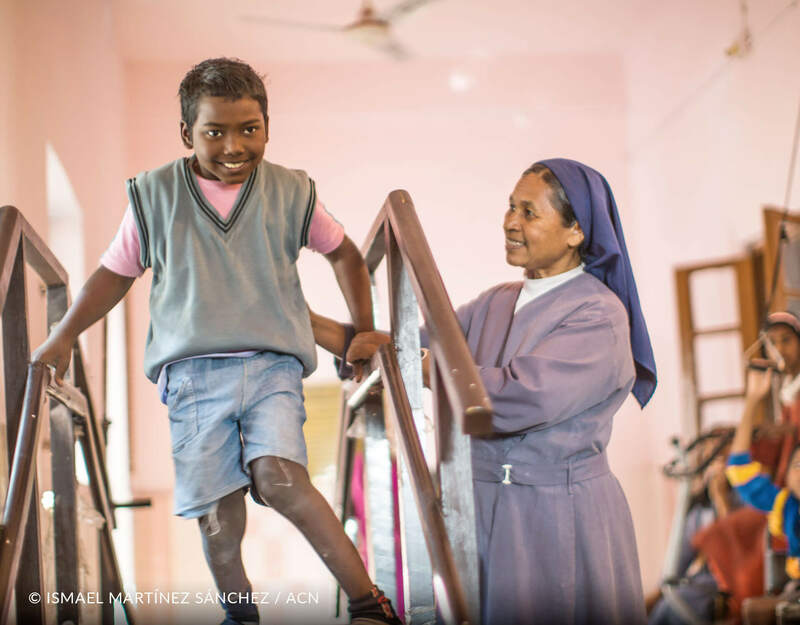 My greatest joy will be to see them grow up to be good persons,” adds Sister Rita. “I chose this congregation specifically because of the Virgin Mary. Beginning at a very early age, Mary has always come first to me,” said Sister Rita. The order of the Sisters of the Immaculate Conception of the Blessed Virgin Mary was founded in Poland in the 1850s. To this day, the congregation is primarily active in Poland, but can also be found in a number of Eastern European countries, such as Kazakhstan. The religious sisters run schools, kindergartens and children’s homes in most of the places they are present. In Kapshagay, Kazakhstan, one of the missions of the religious is taking care of children. It began in 2001 with an Italian priest who established a Catholic center in the outskirts of the city. Once he had settled there, he started offering soup for the community, and he realized that many children were coming for the hot meal. He understood that those children had fled from their homes. Therefore, he asked the sisters to take care of them. Sister Rita Kurochkina made the decision to become a religious sister ten years ago. She was born and raised in a family that did not practice the faith. 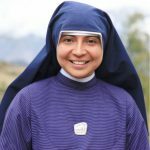 At the age of 14, she took the initiative to prepare for baptism. “From that day on, I went to Holy Mass every single day,” she said. 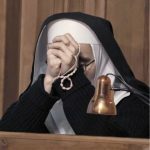 When she decided to enter the convent, her mother did not approve and refused to give her consent. Sister Rita did not want to enter the congregation without her mother’s permission. It took her one year, after being far from home taking care of her aunt to finally receive the authorization of her mother. “My mother changed her opinion somewhat when she realized that I would lead a normal life. She saw how miserable I was for not being able to join the congregation and now she sees how happy I am,” she explained. A few years ago in Rwanda, there used to be big families, and family members used to take care of each other, explained Sister Bellancilla. This tradition has changed. Many aged people live alone now because their children live in the city, others have lost their children during the genocide. 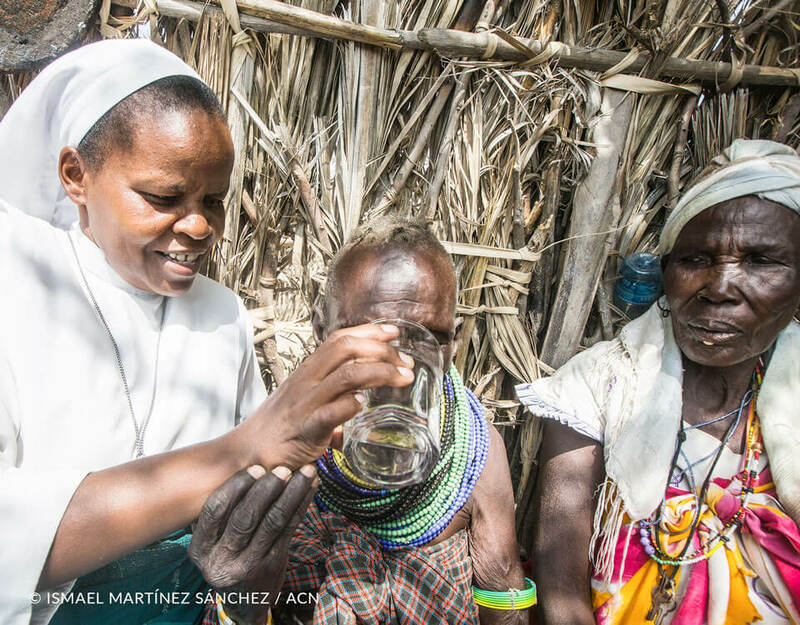 “Since I was a child I dreamt of taking care of elderly people,” said Sister Cécire. “God has chosen me to do this job,” she adds. 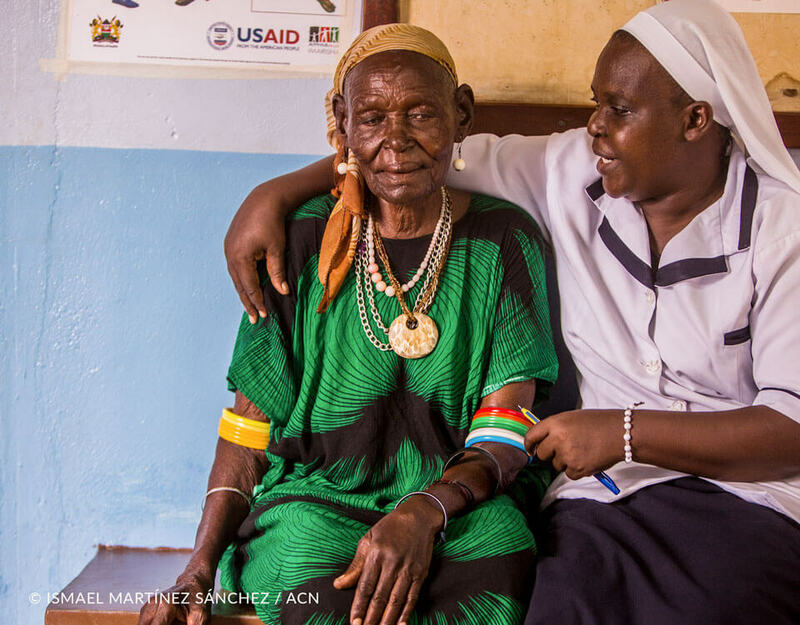 The eight Sisters in Masaka work at a health-center, kindergarten, schools, and they also visit people in their houses. “Our people suffer from the consequences of the war. We lost so much, it affects us until now. There are many orphans, many aged people abandoned, many families destroyed, this is why we have to spread the love of God. If we loved each other as Jesus did, we would be willing to help the poor, the sick, the most in need. Love is the most important thing for a person to be free and happy,” said Sister Bellancila. Saint Vicent Pallotti the precursor of Catholic Action and founder of the Pallottines allocated great sums for the underprivileged. He built guilds for workers, agriculture schools, loan associations, orphanages, and homes for girls. His mission was to save as many souls as possible for Christ. “Our founder was a very holy man. He helped the simple, the poor, the orphans, and the sick. Many young people feel attracted by our charisma. They want to join the congregation because they are impressed by the work the Sisters do in the community. 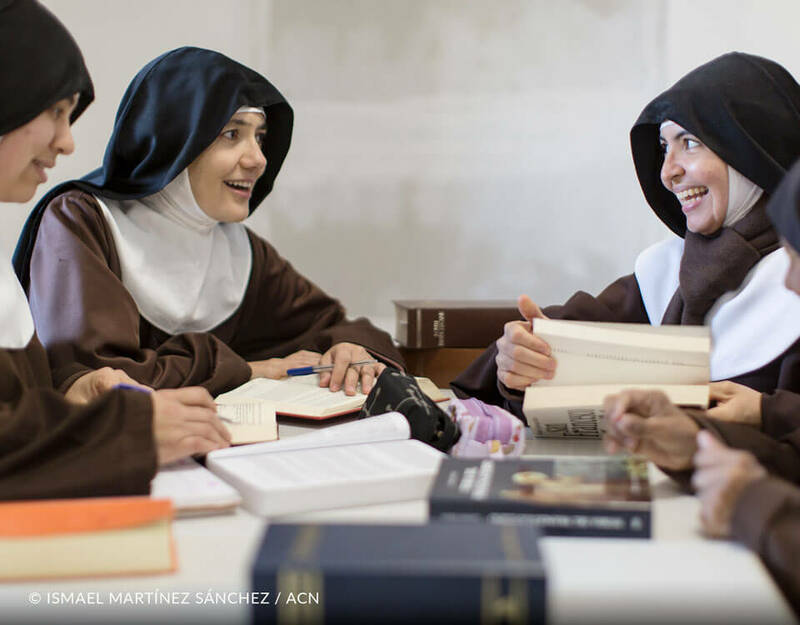 Moreover, they feel the joy and the love with which the Sisters do everything,” explained Sister Bellancilla. Sister Cécire was one of those who felt deeply touched by the life of Saint Pallotti. “He did not put any limits to help people. His example was what motivated me to become a Pallotine Sister. Offering my life to others is my way of thanking God,” said the Sister. “I could have led a different life. I could have married. I could have had children,” said Sister Cécire. The 49-year-old woman from Masaka, in Uganda, has three sisters and one brother. When she told her family her decision of embracing the call of the Lord, they were not pleased. She renounced her professional carrier to become a religious Sister. 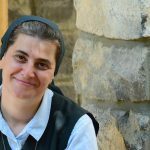 As hard as it was, Sister Cécire said the difficulties strengthened her vocation as well as her faith. “I could have had a family, but it would not be enough for me. The love in me is greater. The love of God floods me, and it overflows. I feel free to love everybody. My family is bigger than blood ties. My family is my whole village,” she said. “When you love, and you do everything with love you do not feel tired because you are happy to share what you have received,” she adds. “Normally no one would choose to live in poverty, chastity, and obedience to God. It is a call. 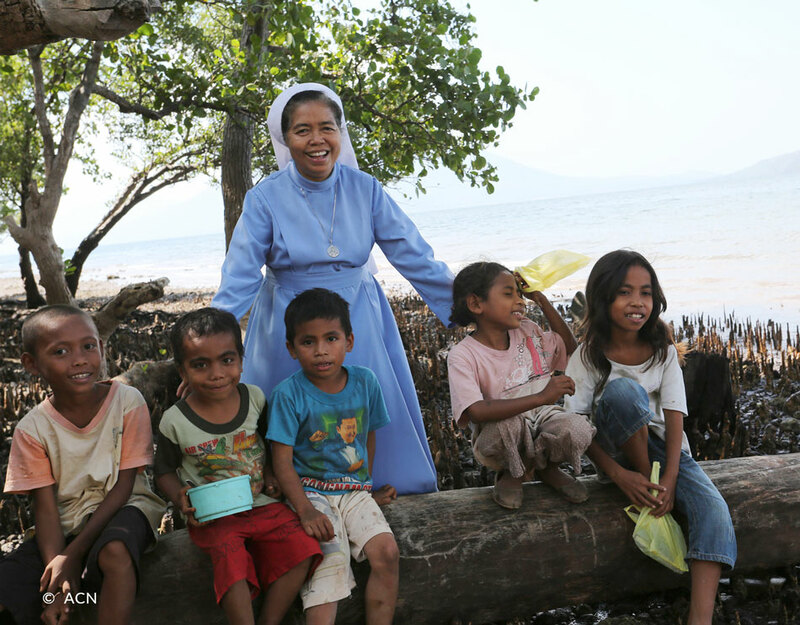 Our vocation is not a choice, but a response to the calling of the Lord,” said Sister Klara. The Benedictine religious live according to The Rule of Saint Benedict, which provides teaching about the basic monastic virtues as well as directives for daily living. “Our first duty is prayer. It accompanies several other responsibilities, for instance, community life. We have two special vows. One called stabilitas loci, which means we vow to live permanently in one place. The other is the moral conversion, we live solely as God advises us,” explains Sister Klara. Although the Sisters do not take a vow of silence, hours of strict silence are set, and at other times silence is maintained as much as possible. “One must know how to live with oneself,” said the Sister. 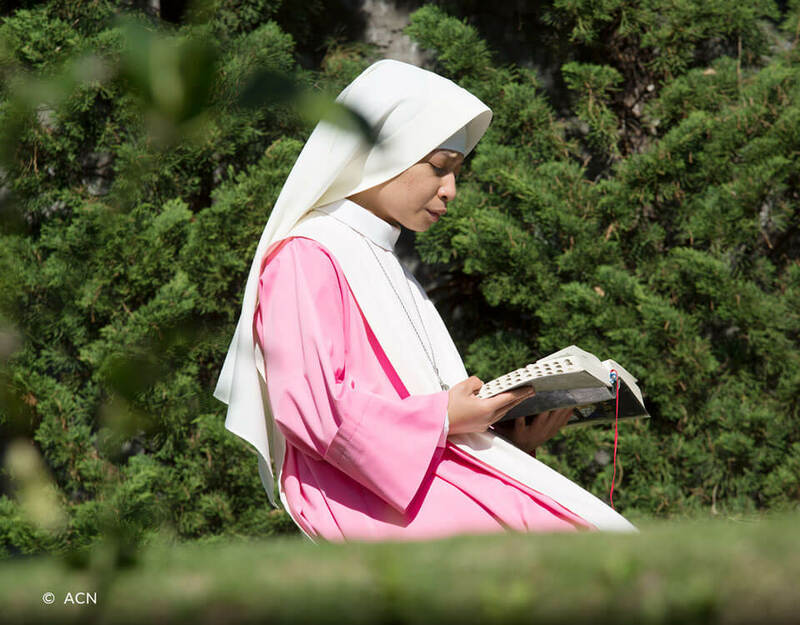 In their community, the 18 Sisters that live in the monastery lead a humble life of silence and prayer. 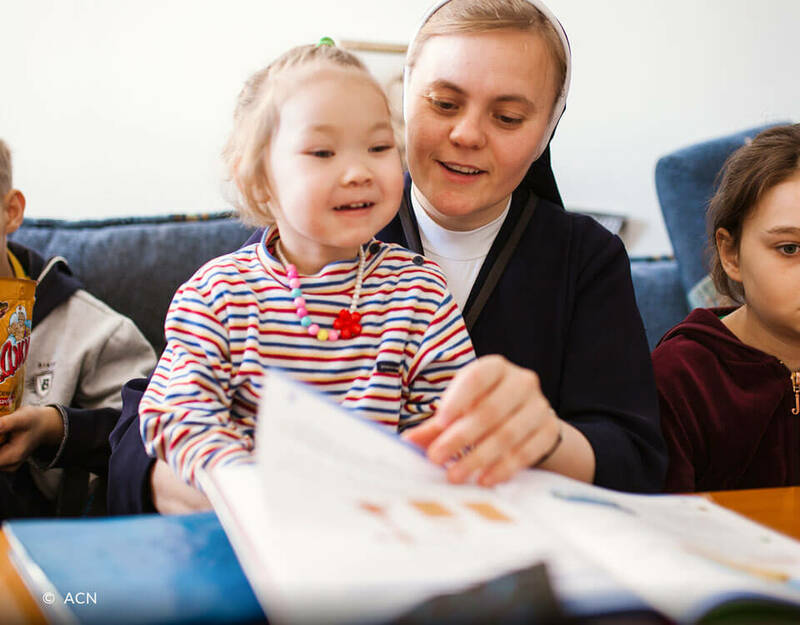 Born in a Catholic family in Ukraine, Sister Klara Sviderska has two brothers, one that has also embraced the religious life like her, and another who has a wife and children. It has been 21 years that she lives in the monastery in Zytomierz before she used to practice medicine. “I was a regular girl, happy and fun-loving. I always wanted to have a family, a good husband, and many children. Now I have it. I used to go to the Holy Mass every day, praying for a husband. Once during Adoration, I grasped that I should take Jesus as my fiancé. Nevertheless, it took me two years to make a commitment,” said Sister Klara. “I never wanted to live in a closed monastery. I never thought I would. One day it became clear to me that I should offer Jesus what He had offered me first, my life. I should not live as I wished but according to His will” adds the Sister.